It seems as though Taylor Swift has been receiving a tremendous degree of social media attention. As a matter of fact, it wasn’t too long ago that the country/pop musician became a Tumblr favorite, taking part in such acts as comforting a fan who lost her mother last January. Her notoriety on social media continues, the most recent news has been associated with Twitter. It wouldn’t be out of the question to say that she has made a new stride. The Next Web recently posted an article, reporting that Taylor Swift would be the first celebrity to obtain a Twitter hashflag. For those who aren’t in the know, a hashflag is something of an emoji that appears a particular hashtag is plugged into a tweet. These were especially popular during the World Cup last year, as different flags were showcased based on what teams Twitter users supported. Regardless, Swift has become the first celebrity to have one of her own. How does this work, you may wonder? 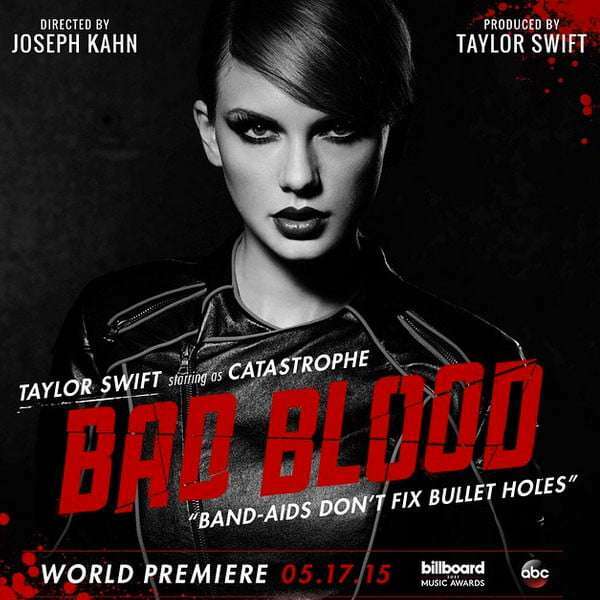 All you have to do is add the hashtag #BadBloodMusicVideo to a tweet. Once this is done, you will be given a custom emoji of a bandaid with a bullet hole in the center. Without question, this was done as a way to create hype for Swift’s latest musical endeavor, which is smart given the sheer level of interaction conducted on Twitter. What Taylor Swift fan wouldn’t want to take part in this, even for the sheer novelty associated with the emoji? A lighthearted graphic can never hurt. More than anything else, I see this as yet another technological trend that Swift has been able to latch onto. With so much discussion made about her musical talent, people tend to forget that she’s a businesswoman as well, meaning that she must know where the proverbial money is. Tay Text is one such example of this, as it featured a custom iOS keyword built around lyrics to Swift’s various songs. Even if concepts like these do not drum up as much interest as anticipated, apart from avid Swift fans, the fact that they are unique can still go a long way. Any online marketing firm can probably attest to the idea that this can create interest amongst other public figures. We’ve seen them with the World Cup, as covered earlier, but what of other entities in the public eye? Who’s to say that World Wrestling Entertainment, for instance, won’t be able to incorporate hashflags en route to monthly pay-per-view events? What about other musicians taking part in this, to drum up interest for upcoming concerts? The possibilities are endless and, if Swift’s own hashflag goes over well, we may see even more of these on Twitter. Only time will tell. What is your take on this story? Please leave any thoughts down below! See also: Twitter Marketing Strategies: What You Need To Know Today?